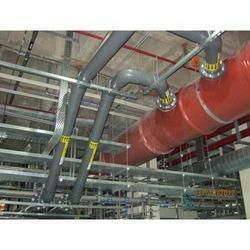 Service Provider of FRP and PVC Ducting Services. Our product range also comprises of PP Socket Fusion, Piping Grid and PP Chemical Tanks. Empowered by a technologically-advanced infrastructural facility, we are engaged in offering FRP and PVC Ducting Services. Our diligent professionals integrate the most contemporary machinery and conventional fabrication techniques in order to offer this service efficiently. This is acknowledged for its hassle free management, trained experts, precise solutions, reliability, effective planning, promptness, cost effectiveness and many more.